Just What You Are Looking For !!! 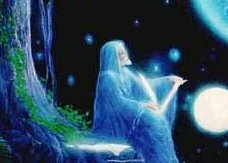 On this page, you will find offered: Tarot Readings, Birth Charts, Compatability Charts, and Name Analysis. These reports are done with care and feeling, on an individual basis. I ask a voluntary donation based on the report requested. Once you click on the PayPal buttons below for your selections, email me with your request, including your PayPal confirmation number, and I'll have your report mail posted within 10 days of receipt of payment. If you would rather pay by mail in Check or Money Orders let me know and I'll include my address in return email. Once payment is received, your report will proceed as stated prior. TAROT - Include the question you wish to ask the cards. I will also need the date and time of your birth. BIRTH CHARTS - Include the; date, time and location (city/state) of your birth or that of the person you are requesting the report for - $35.00. With the purchase of one Tarot Reading, you will receive a FREE Name Analysis ... This offer expires on February 28, 2002.